The Blacklist: Conspiracy is a new mobile game for iOS and Android from Gameloft, and as you may have figured, it is based on the TV series, The Blacklist. You will be joining Raymond Reddington, a.k.a. the Concierge of Crime, and the Post Office Task Force as you chase down all sorts of criminals, investigate their crimes, study clues, and interact with some of the series’ more memorable characters. 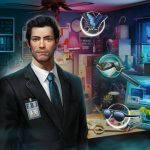 Of course, you’ll be playing a new FBI agent, playing a series of mini-games to analyze those clues, as you try to solve each case as quickly as possible. 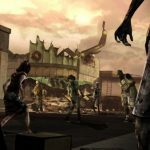 You will also have to remember that once you’ve made a decision in this game, you’ll have to take accountability for it and live with your choice; many of your decisions would have a significant impact on the game’s main storyline and its characters. 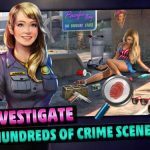 In terms of the game’s mechanics and genre, this is an object-finding game, and it fits right in with the many detective-style games available on the App Store and Google Play Store. Before you begin your career as a new member of the FBI, we’ve got everything you’ll need as a newbie – a list of The Blacklist: Conspiracy tips, tricks and hints. Each time you’re unable to complete a level, you will lose one unit of energy. And when you run out of energy, you won’t get a chance to play more levels until that energy has been replenished, either in part or in full. 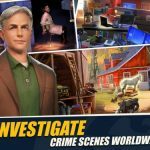 That could lead to a lot of waiting when you should be solving more cases, but if you don’t want to wait, don’t risk your standing with Gameloft by doing the time lapse cheat; regardless whether it works or not, more and more game makers are cracking down on that practice. Instead, connect your game to Facebook and add friends whom you know play the game, or create a secondary gaming account on Facebook, then add friends through app reviews and comments sections of gaming sites. You can then ask your friends for energy, or return the favor by passing on some energy to them when they’re in need for it. You always have the option to be patient and wait for your energy to replenish automatically. But once again, you may be better off leaving the time lapse alone. Those who are used to grinding it out on games in order to get the highest possible score will be glad to know that it can be done on The Blacklist: Conspiracy. Just keep playing and replaying any given level if you want to reach the highest score for it, and take note of the things you did right and the things you didn’t do right. That’s going to help you complete the level faster, probably each time you replay it. As the game rewards you with time bonuses, finishing a mission faster would earn you more points through the time bonus. You’ll also get a lot of stars in the process, and wouldn’t need to go back to the previous levels so often if you’re short on them. 3. What Can You Buy With Your Cash? Your in-game common currency can be used to buy a number of things, including three bonus hints, a max combo boost, and a boost that slows down the combo bar’s drain. All of these can be quite helpful, and if you choose to buy them, you should make sure you use them at the right time, as you won’t be able to undo things once you’ve used one of those boosts. You can also watch an ad video before the start of a new stage, as that’s going to get you one of the above boosts, free of charge. The Blacklist: Conspiracy has its own form of premium currency, and just as it often is, that premium currency is gems. You can buy them with real money via in-app purchase, but you can also go to the main menu of the game, tap on the video icon, and watch an ad video. Alternately, you can hit the left button on the in-app store menu, and watch videos just the same. Each video is worth only one gem, but you can keep watching videos as long as the game has something to serve up to you. Those gems can add up before you know it. And this wraps up our quick guide for The Blacklist: Conspiracy. If you know more tips and tricks for the game, feel free to leave a message in the comment section!